We have definitely let corn sneak back into our diets. I’m feeling a bit guilty about it, but also really enjoying it. However, I’m realizing just how much we are eating (corn chips, corn tortillas, corn bread, etc) and I’m determined to at least cut back. Corn isn’t on the paleo diet, and I definitely prefer not to eat it. 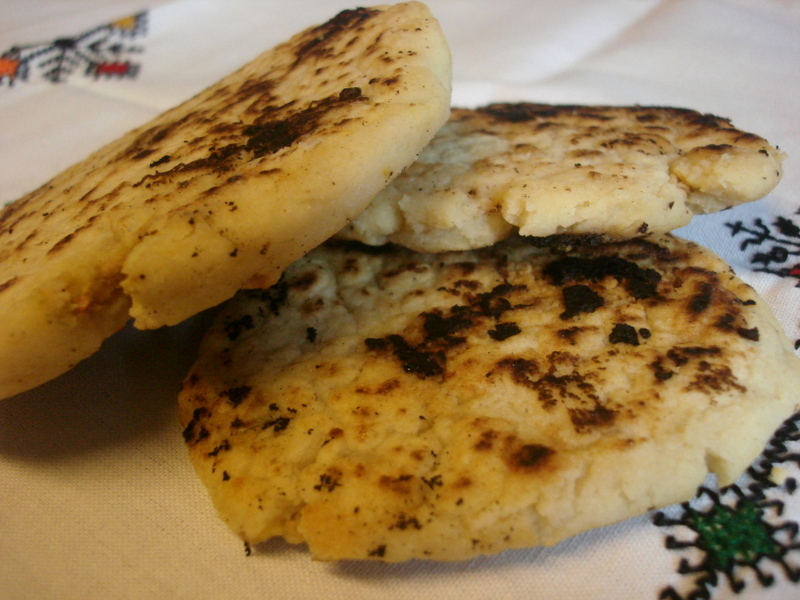 I say that as I post a recipe for pupusas! However, all that aside, I remember having awesome street food and yes, most of it was corn! Corn on the cob with lemon juice and chili powder, tamales, real tacos complete with beef tongue, intestine, brain, any part of the animal you can think of, and of course pupusas. Recently I saw a recipe and I was determined to give them a try! Here is my attempt! I’d say they were pretty good, not 100% authentic, but good all the same! The kids really liked them and they were great for taking with us on the road! They didn’t make much of a mess in the car, they traveled well and heat well in the dash of the car! I’m tempted to make a huge batch and freeze them for quick easy meals. So even though they aren’t technically paleo, they are good and brought back lots of memories! I will say they take a bit of time to do, but the effort is well worth it! 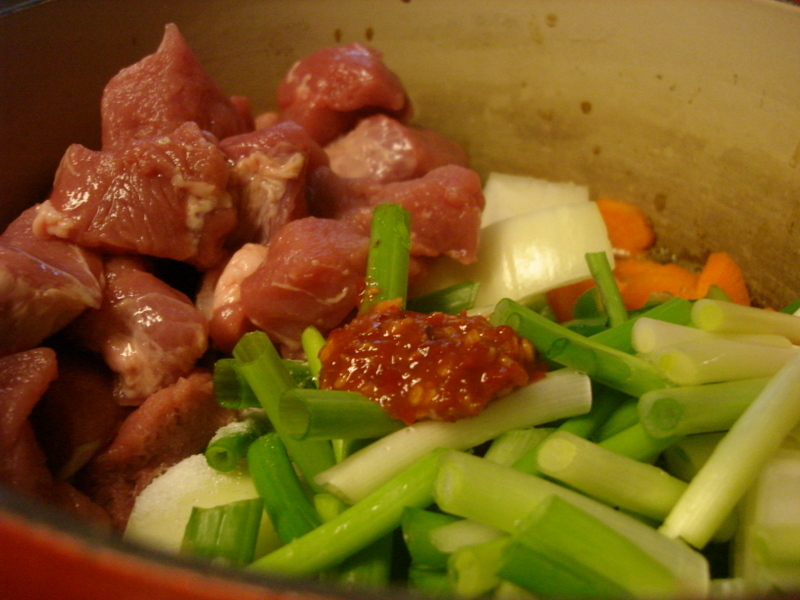 Put first 10 ingredients into stock pot and cook on low with lid on until pork is very tender, about 1 ½ hours. Let ingredients cool. Pulse in food processor until well chopped and combined. I don’t remember the measurements of mazeca to water, but you really just need to mix them together until you have the right consistency. Once you have both portions read to go, you are ready to start making them! Here is a great video that shows how to put them together. It would take me way too long to explain it and it’s much better to just watch and learn! As you are putting them together I toss them in the frying pan with just enough bacon grease that they don’t stick. Wait until the crust gets dark and toasty, flip to the other side and do the same! Sometimes we eat them plain, other times with sour cream and a bit of hot sauce or with a fresh coleslaw! Also in the video cheese was added. I’m sure that is much more traditional, but since baby A can’t have dairy I did without and they were still fantastic! Have you made these before? Let me know if you give them a try! your blog always makes me hungry. it just all looks so tasty.